Have you ever played a tower defense game or any other strategy game? Maybe you’ve heard about them or played on your PC! However, if you don’t know about it, then I’ll introduce it to you first. Because it’s the theme of the app which I’m going to introduce you today! The tower defense game is a subgenre of strategy games where the main objective is to defend a player’s territory or possessions by obstructing the enemy attackers. Due to its real-time origins, tower defense is seen as a subgenre of re-time strategy games. But many modern tower defense games include aspects of turn-based strategy. One of them is World War II Defense, which is a great defense game with an amazing military style theme. 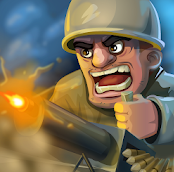 In World War II defense game, you will be provided with a lot of weapons, coins, real heroes and of course ‘the enemies’! There are almost 6 unique weapons and guns offered for your heroes to fight. It’s an easy yet challenging battle to win. 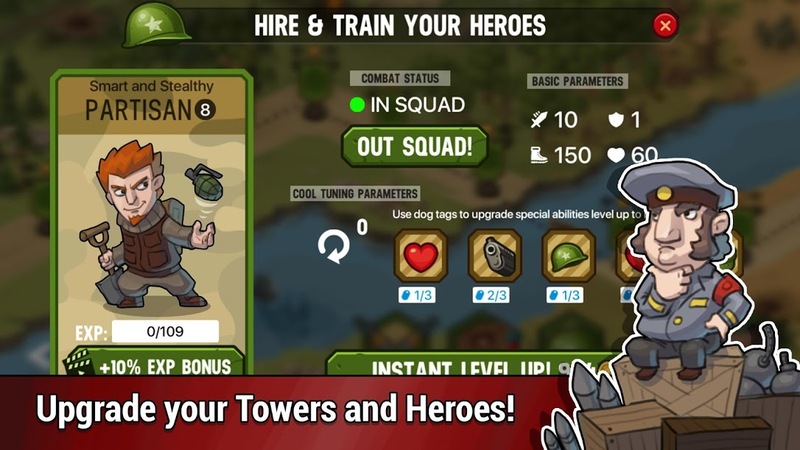 Firstly, you need to create your army by selecting the heroes and weapons to be used. WW2 is a classic islands defense game where you fight with your enemies coming in your way to attack you. But, you need to defend yourself in order to gain coins and win the battle field. This is your main objective of the game that needs to be achieved. Moreover, you can earn coins as well as buy them if you need some another weapon or more lives! The choice is ultimately yours! Now, talking about the controls and graphics of the game. The controls of the game are very easy. You need to touch the screen of your mobile phone to select anything and move your heroes. 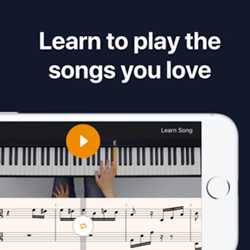 The graphics of the app are brilliant with high definition colors and sounds. When you’ll start the battle, you’ll feel like you’re in a real battlefield with the legendary heroes. Seriously, this game is a new sensation for all the game lovers who like building strategies and action. 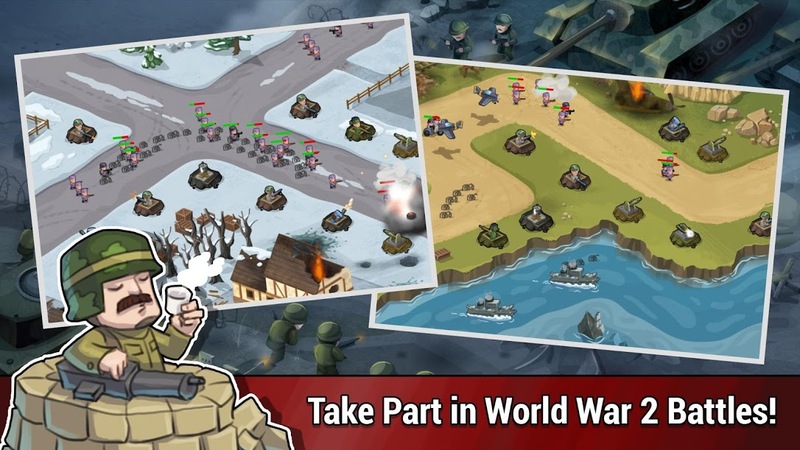 Overall, World War II Defense is a multiplayer game which requires a good strategy to win. Remember, a lot of angry enemies from infantry to aviation will be coming in your path to destroy your army. But, you’ve to play attentively and defeat the enemies. So you’ll never get bored in playing this game as it offers 27 unique and exciting levels to hook you up for several hours. This game has the best storyline ever created by Ulrik Motzfeldt-Skovgaard, this year. 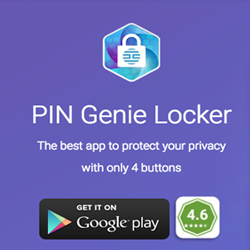 The app has been developed for all the Android users and is available for totally free on the App Store. So become a part of the World War II battle! Download the app now and go ahead! Pros: multiplayer game; 27 exciting levels; real-time strategy gameplay; military style; awesome storyline; HD graphics; super-addictive; full of entertainment; free to download. Cons: a lot of annoying advertisements in between the gameplay.